Discussion in 'Ducks' started by jdywntr, Aug 28, 2011. I remember bringing my 2 indoor ducks over when i went to see your ducks and you seemed kinda amazed at how people friendly they are and that i had diapers on them lol. Now it looks like your hooked!!! Fall in love with them quick don't ya? Enjoy and spoil lots!!!!! Okay. Here are the "instructions"
The sock is a kids size 7-8, I picked up a 3 pack for $1 so thats 6 diapers plus an 8 pack of shoelaces for $1 so 16 if those. Gotta love the $1 store never know what you'll find. I made a slit down part of the "toe" section to make it easier to get on. 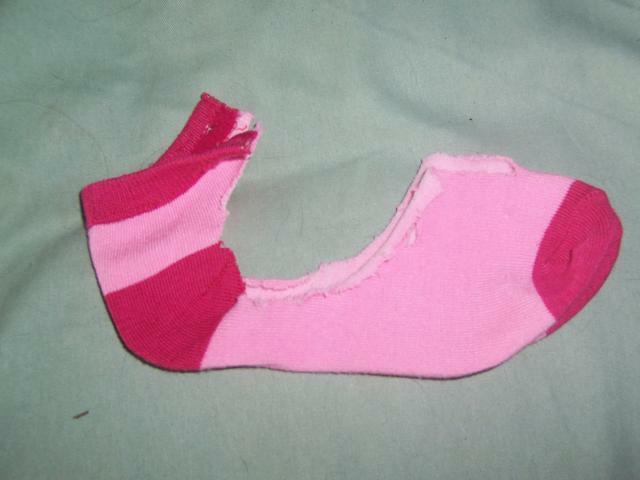 There are holes cut in the "toe" on the top and in the neck strap (ankle). Top view with shoelace. 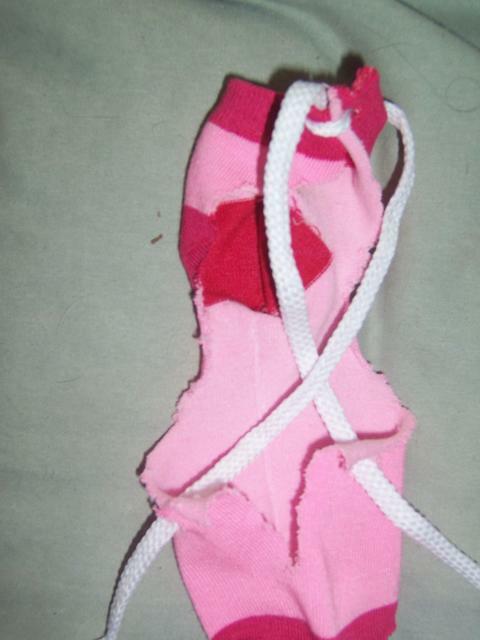 She is small enough that the "neck" is tied together with the laces. Crisscross over back for more support. View from above, tied in bow above tail. I am only leaving it on for 20-30 minutes at a time to get her used to it. She struggles a bit at first but calms quickly. Problems so far- if she is just sitting on my shoulder, she reaches around and unties the laces. 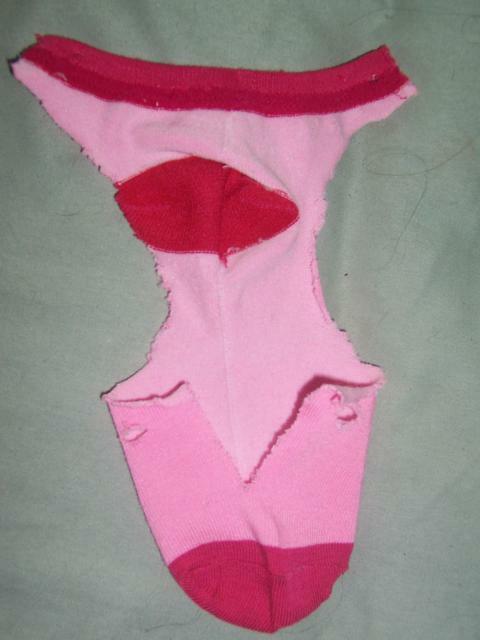 I need to find some other fastener but am not going to worry until she is bigger. I actually picked up to dog collars at the $1 store for the clips (they were $2 each at walmart) I also picked up some fabric at the thrift store, its stretchy so I'll see later. UPDATE from DH- He arrived home last night and said "Why is there a duck in the living room? Is this going to be an indoor duck?" I replied that I don't know yet. She is too small to go outside. For those of you with indoor ducks, adults, what do you house them in at night, when you are not home etc? I have a small dog crate for now but she will outgrow that quickly. MarlyMonster, MakeshiftAcre and Shayna like this. Quote:My 12 week old duckling sleep in a dog crate, I have various sizes so just keep going to next size, but next size has my dog in it, she uses it for her bedroom, so might present a problem. 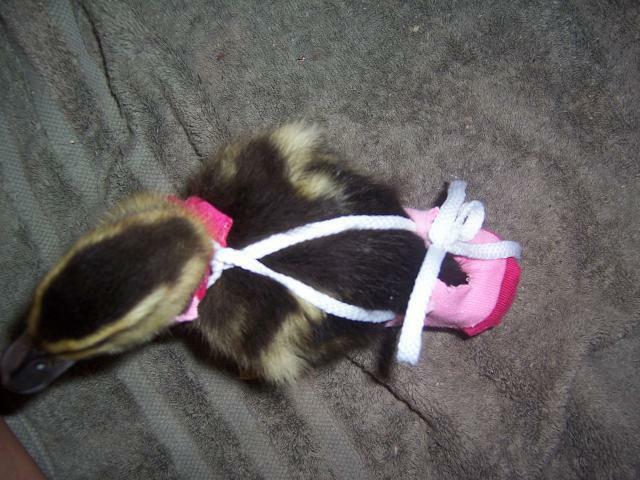 thanks for pics, I know those that have young ducklings will like this idea. Does it cover the duck's oil gland? Does the duck mind if it does? When Fred (Pekin) is inside he sleeps in the pool bathroom shower or in the laundry room. He has a bed in there as well as a tall glass jar with water for him. Quote:What does he wear? his diaper harness or PJ's? That's so adorable! Good idea for the diaper. And guess what? Your little duckie sleeps in the same crate that mine does.